Our carer support team provide in-home and group based activities and outings for those needing assistance. Our respite program is held at our Access Health and Community Richmond site as well as in client homes. An individual plan of care is tailored to you or your loved ones needs. We provide flexible methods of care to ensure goals are met. 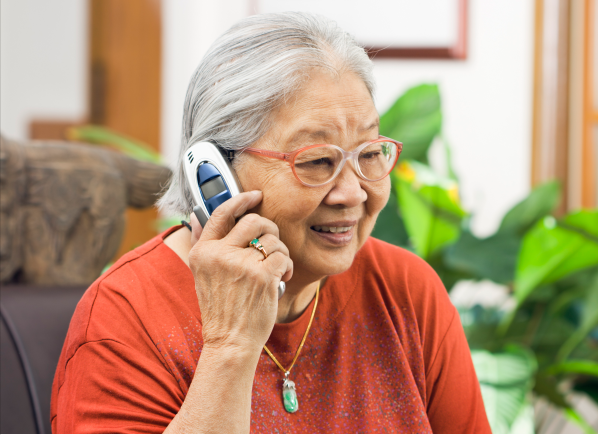 If you care for a family member or friend over the age of 65, or under 65 with a disability, and you live in the City of Yarra, Darebin, Boroondara or Stonnington, you are eligible to use our services. The person you care for must be registered for NDIS or My Aged Care. Ask us for help if they are not already registered. Please contact our intake team on 03 9810 3000 to make an appointment or referral. For pensioners costs are $15 per day including lunch for group-based activities/respite or three hours of in-home respite. An additional $15 applies for outings. For non-pensioners, costs are $60-$100 per day for group-based activities/respite. In-home respite costs are $20-$45 per hour on weekdays. Evenings are $45 per hour and weekends are $60 per hour. Non-pensioner fees are income tested. Our experienced team assists carers, (partners, children and friends) who are supporting a loved one, to remain living at home through regular flexible respite. Respite is provided to the person requiring support, whilst their carer works and/or attends to their own needs. We also assist people to access other services available onsite at Richmond. These include physiotherapy, podiatry, occupational therapy, dietetics and medical. We can provide transport to and from our centre if you live within five kilometres of the centre in Richmond. If you live further than five kilometres we will discuss other options with you. If you need us to, we can support you to attend medical appointments, go shopping, and have lunch or day trips to places of interest. Do you provide evening, weekend and overnight respite? Respite can be provided during these hours upon request and can either be weekly, or on an ad hoc basis. Please get in touch to find out more. What languages are spoken by staff? Vietnamese, Malay, Indonesian, Mandarin, Cantonese, Hokkien, Taiwanese, Lingala, Dutch, Turkish, Hindi, Urdu (not in-home), French and English. What is a carer and why do you need to have a carer to use this service? A carer can be a family member, neighbour or friend (not a paid carer). They can live with you, or visit and assist you with shopping, cooking, attending appointments and other activities. Their assistance means that you can remain living at home. Our program is designed to give carers a break from their caring role. Carer support assists people living in the Cities of Darebin, Yarra, Boroondara and Stonnington.